The other day my sister decided she was going to raid my room for art supplies. At first when I couldn't find my pencils, I thought I'd just lost them. But I soon noticed that not only were the pencils gone, but so were my fabric paints, canvases, and marker containers. Something was up. I pestered everyone in the house to see if anyone knew of these items' whereabouts, but no one did. However, after a while, my sister started "finding" my stuff in various places. She obviously put them there, because somehow some of my pencils ended up in the marker containers, which were "found" under a cabinet. Some of the pencils were sharpened to half their original length. The fabric paints mysteriously ended up on the canvases, which were apparently given to my sister by someone else. Anyway, I need to keep my sister out from now on so there are no further occurrences of these irritating events. 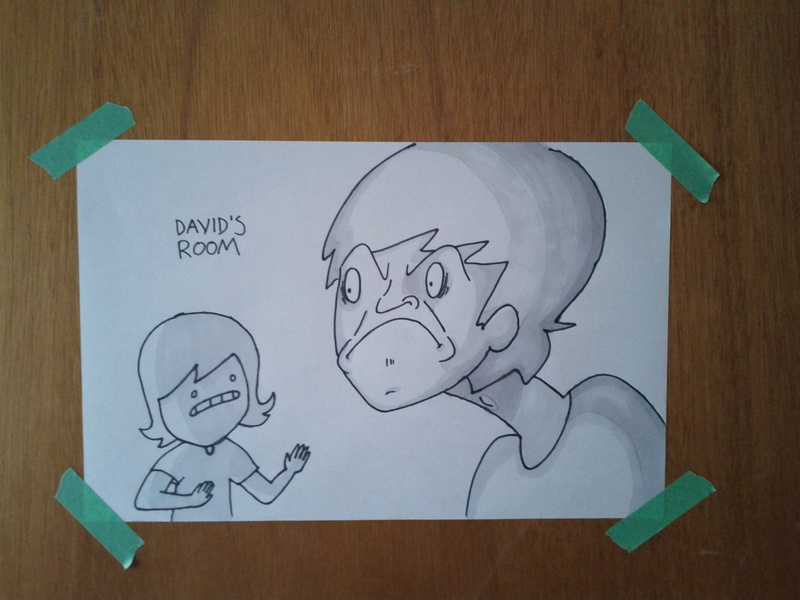 I made this poster and put it on my door to remind her.